NCL HND Sound Production students ended the year in style with a comprehensive studio tour and recording masterclass at Glasgow’s premier recording facility, Gorbals Sound Studios. Resident studio engineers Kevin Burleigh and Darryll McFadyen took time out of their busy schedules working with artists (including Biffy Clyro, Belle and Sebastian and Simple Minds and many more) to tour students through Gorbals Sound’s two world class Neve mixing console equipped studios discussing everything from room acoustics, approaches to microphones choice, vintage musical instruments and many other elements involved in a truly top end recording session. The tour included a mix playback session in which engineer Kevin Burleigh took the students on a deep dive into his mixing approach and an extensive Q&A allowing students to ask questions on all areas of the recording process. 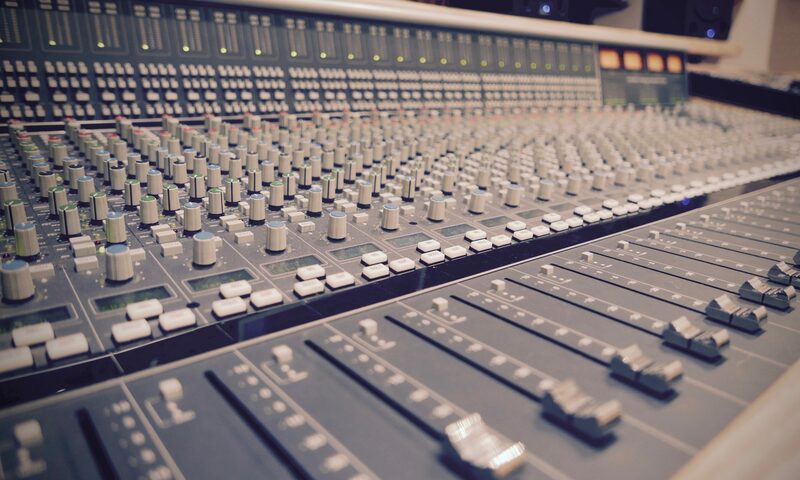 “This was my first visit to an external professional recording studio and it did not disappoint. From the different acoustic spaces, to the consoles and racks of outboard in Gorbals Sound, I felt a bit like a wean in a sweetie shop looking at all the gear! It was pretty cool actually to see that we have the same Distressor unit in our college studios, which just goes to show how good our equipment and facilities really are! Chatting to Kevin and Darryll was so enlightening – just finding out about their workflow in Pro Tools, how they set up and engineer drum recordings (which is a big part of studios’ business these days) as well as discovering that one of the Gorbals’ studio engineers had moved into this role after completing his HND in Sound Production – I found that encouraging and it made me think that maybe I too could work in a cracking studio like this one day in the near future!“.